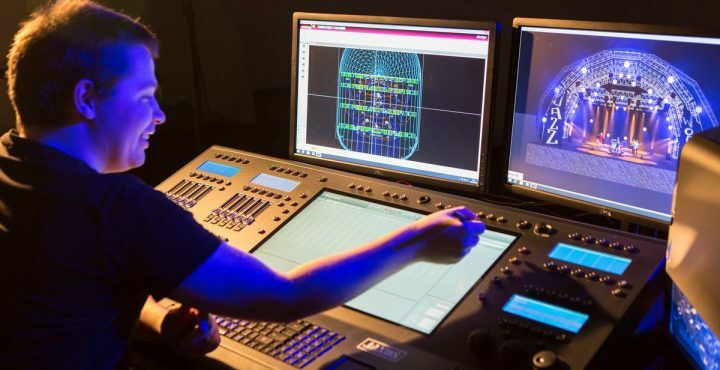 Today, more than ever, the technology and the evolution of light simulation systems allow us to achieve more and more precise visualisation of lighting rigs, with a increasingly high level of detail. This evolution has reached the point of us being able to precisely establish not only visual but also structural features of one’s own work, making this workflow a simplification for those who have to certificate the project in terms of safety. 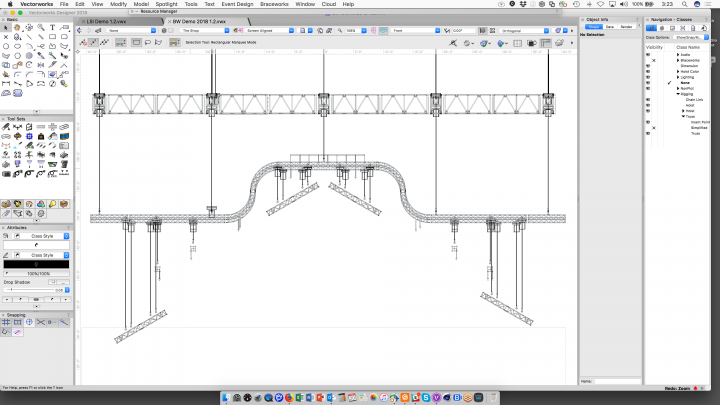 Today we will talk about Braceworks™, a particular add-on for Vectorworks Spotlight and Designer versions, which allows for the design of rigging systems. The software is able to recreate a model based on its project, complete with analysis, documentation creation and various calculations. 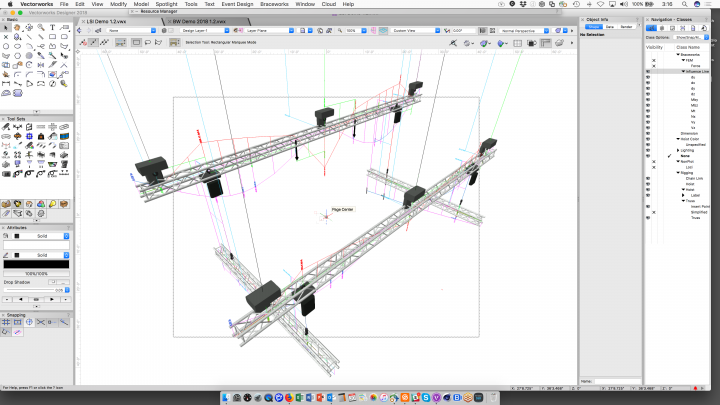 It achieves this by interacting directly with the design created with Vectorworks Spotlight. Braceworks is able to perform a complete 3D analysis by considering all types of load – if distributed point-to-point – as well as fixtures, wiring or other materials. It then returns a complete static report (known as a Finite Element Analysis, or FEA) which includes graphic representations, calculations and verification of critical issues. The model can also be exported in DSTV format, which is compatible with other FEA software. 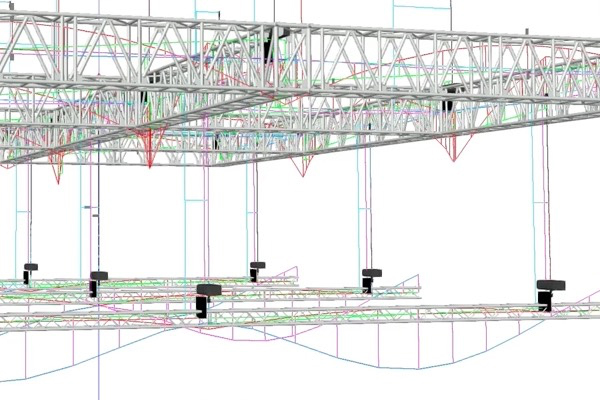 To see its potential with our own eyes, we organised an online streaming session with a Vectorworks product specialist, who showed us all the features of this particularly powerful tool. Passing immediately from theory to practice, we have created a couple of projects, each with different degrees of complexity, on which engines and fixtures have been applied. In the first case we had two parallel trusses, onto which two perpendicular trusses were connected by motors. In the second example, we had a much more complex design with curved trusses and a hanging main support. Needless to say, the tools provided by Vectorworks, including the various shortcuts and the system for quick identification of the various snapshots, allow the user to save time in the drafting of the 3D model. The first main feature of Braceworks is the possibility to insert a risk factor on the single trusses. This is a fundamental parameter if we are dealing with suppliers for whom we don’t know the methods used for rating their materials. In fact, it is sufficient to set a series of “Safety Factors”, ​​which are nothing more than values ​​that tell the software to consider a lower load on the truss than that defined by the factory certifications. Even more useful is the ability to monitor, in real time, the load values ​​as we hang the various materials onto the various truss lengths. With a simple click, the system allows us to display next to each rigging point the type of engine present, the height of the hook, the total length of the chain, which ones are in use and the load present on that point. 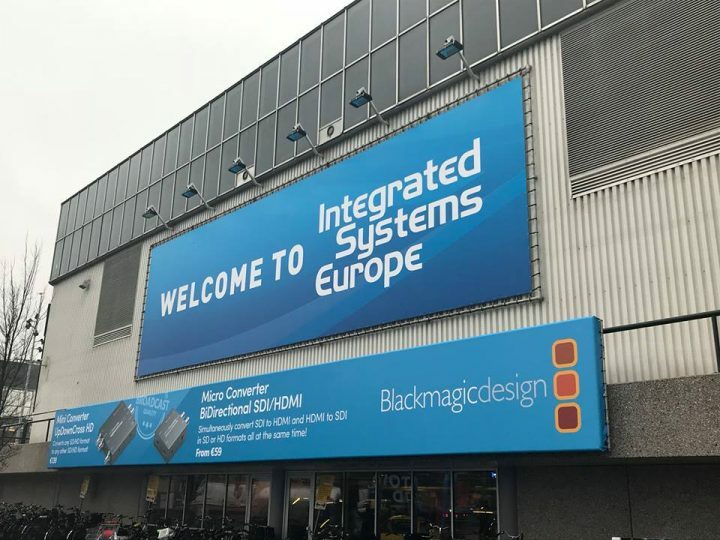 Naturally, this data automatically updates when we move, even by a few centimetres, the load on the truss – for example the movement of a moving head. The third fundamental and innovative aspect of this platform is the possibility to visualise, in graphic form, the progress of the loads directly on the project. This enables the user to identify any critical issues quickly and be able to intervene in the first design phase, avoiding unpleasant surprises during the preparation. 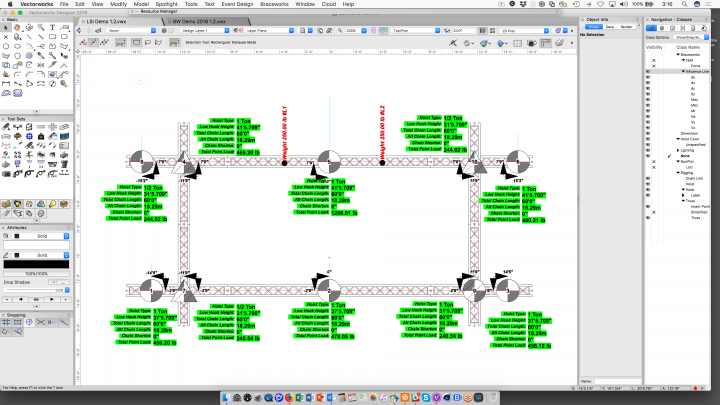 As you can see from the images below, the software draws the various loads directly onto the truss, using different colours to indicate the level of criticality. The load detection procedure is as quick as it is precise. With a one-hour session, we started from scratch with the construction of different lighting rigs, through to the design and configuration of the various trusses and structures, inserted the engines and had the control of the complete static project. In short, you have everything you need to work safely and to provide the most useful of information to the certification staff. We have to say, Braceworks is an excellent tool. 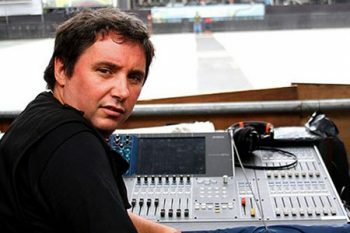 It is well designed and allows for the Lighting Designers and other professionals to work considering the static factor from the first creative phase. Of course, it is true that often the LD is not responsible for the structural part of a project, but with this software he is able to provide the certification team notions useful to lighten the work of both.